It’s been a great growing season up to now with plenty of rain and a good dollop of sun. Soil and compost are getting tired and some are struggling to keep up with the demands of voracious root systems. Feeding time! Plants in containers concern me most as you cannot get the natural interaction between soil organisms and roots required for the best healthy and sustainable growth. A little bit extra is needed. But even plants in natural soil can starve their surroundings, especially fast growing and active plants. Plants need lots of nutrients and a well-balanced diet. There are macronutrients and micronutrients. It can become complex but, to put it simply, the three main ingredients you need to look for in a fertiliser are nitrogen (N), phosphorus (P) and potassium (K). This is referenced on all fertiliser packaging as a ratio of N, P and K - in that order. For example, 10:10:10 is a balanced fertiliser. Or 20:10:5 is heavy on the nitrogen and lower on potash. The bigger the number, the higher the concentration; for example, 20:20:20 has double the concentration of a fertiliser showing 10:10:10. Nitrogen (N) boosts leaf growth. Phosphorus (P) boosts fruit, flowers and roots. Potassium or potash (K) is a great nutrient to keep everything else ticking over. So, if you want lots of leafy growth or the leaves on your plants are looking sickly, perhaps a jolt with a high nitrogen feed is the answer. A great example of a fertiliser high in nitrogen is any spring lawn feed. Your lawn is, after all, a carpet of leaves. If you want to encourage the flowers and fruit on your plants then ensure that middle number/ letter of the three, the P part, is higher than the rest. If your plants are looking all round peaky then K is most probably the answer once all other pests and diseases have been dispelled. The other main factor, when thinking plant fertilisers, is that plants can only get benefit from them once they are in a liquid form. 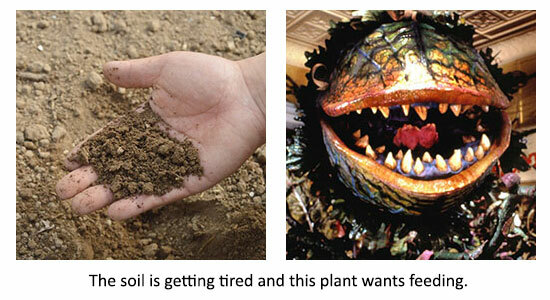 Solid or pelleted fertiliser needs to take up water in the soil, dissolve into a solution and then get into the roots. Liquid fertilisers get to work straight away. The choice of fertilisers is vast but all chemical fertilisers have N, P and K at the heart of them. 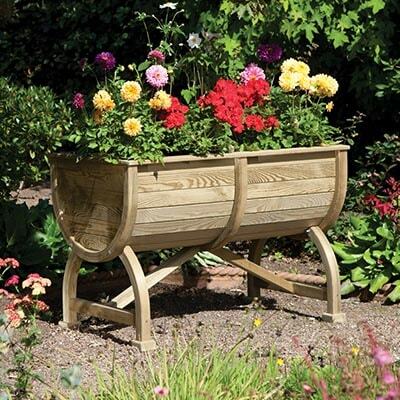 Don’t forget, Shedstore stock a fantastic range of gardening products to help you nurture your plants and ensure they enjoy a long, happy and healthy life.